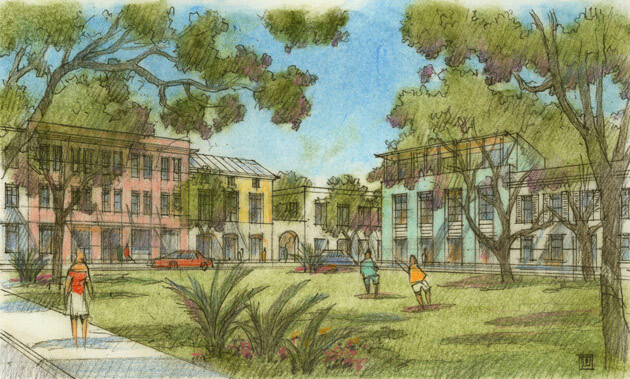 The Fruitville Center plan establishes a coordinated development strategy for 346 acres that have been designated a major employment center by the County of Sarasota. 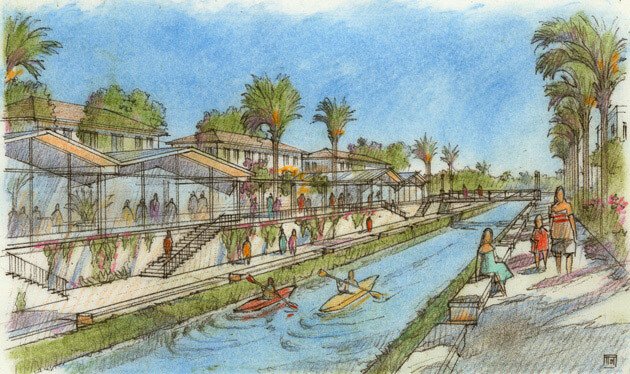 The planning area comprises five privately owned parcels and a forty-two-acre site adjacent to a County-owned storm water treatment facility and recreation area. 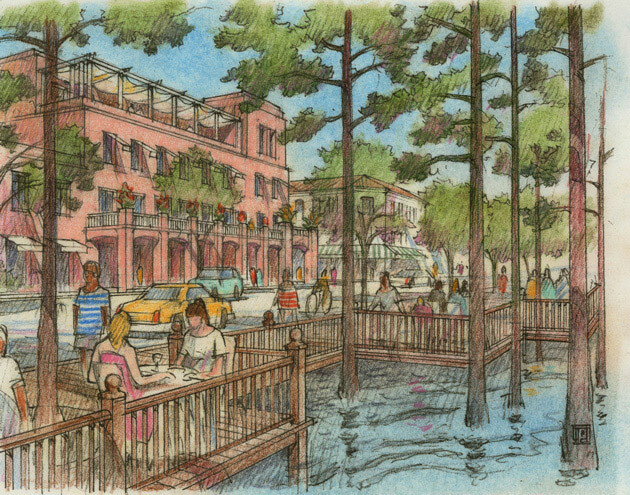 Based on the Planned Mixed Use Infill Code adopted by the County, the plan establishes the physical framework for an ecologically responsible development that preserves existing wetlands, hammocks, ponds and canals. 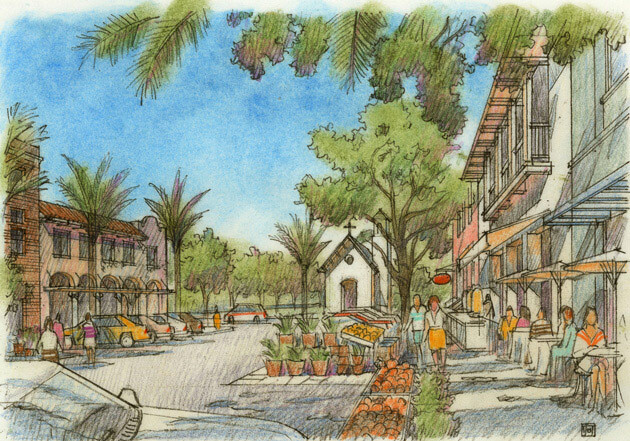 It transforms Fruitville Road into a multi-lane boulevard, distributes a hierarchy of street and block types and lays the armature for the incremental development of compact, interconnected, walkable neighborhoods and districts.